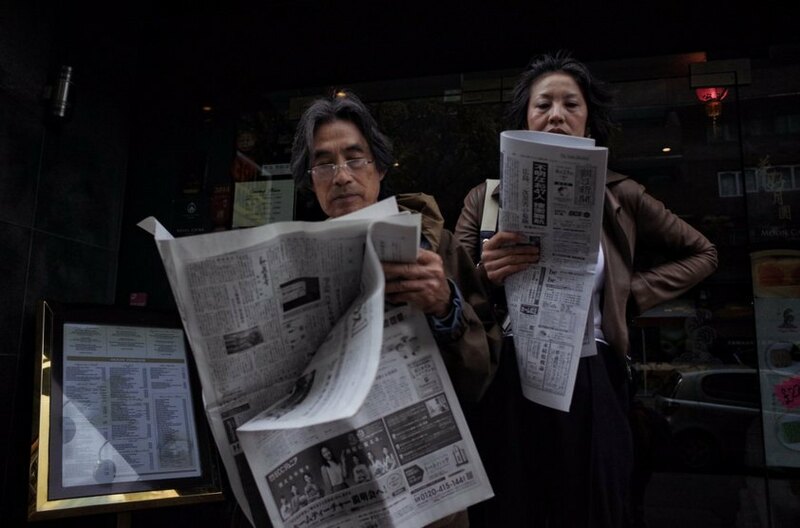 Want to find out more about Chinese culture in the city, and where to access it? We spoke to three people living in London — one born in China, one born in Singapore, and one of Chinese descent. Yinjie Sun is an art teacher at Sunny Art Centre in Whitechapel. 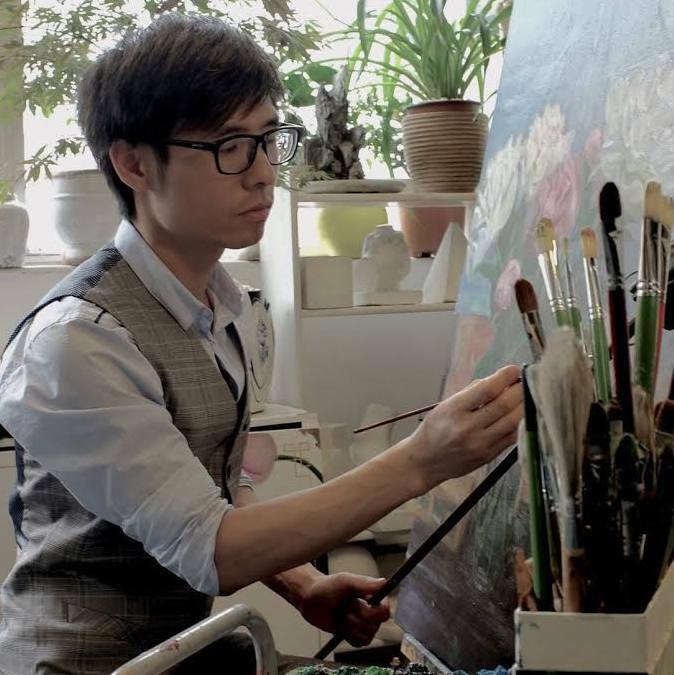 He comes from a beautiful village in Jiangxi Province, a place that inspired him to draw and paint. 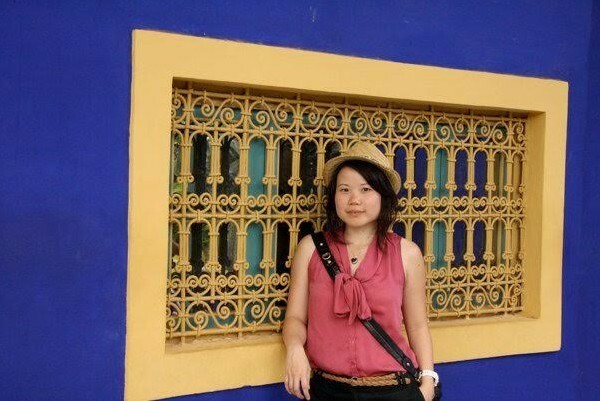 Sandra Leong is a senior account manager at brand language consultancy, The Writer. She is Singaporean-Chinese. Her grandparents and parents were all born in Singapore, and her ancestors were from Guangdong Province. Though Sandra doesn't identify as being from China, some Chinese traditions still run deep in the family. Jeremy Pang is founder and head chef of School of Wok, an Oriental and Asian cookery school in Covent Garden. His parents originate from Hong Kong, although he was born in Durham. Why are you here in the first place? Yinjie Sun: I first came to London to study. I studied at Camberwell College for my art foundation, then completed my bachelor art degree at Central Saint Martins. I graduated from Chelsea College of Art for my masters in fine art. Sandra: I came here to do my masters. Then I got a job and also ended up marrying my husband, who is British. Jeremy Pang: I've lived in London since I was one year old, so I didn't have much of a choice! Singaporean street food is second to none, and a source of national pride... not just a dodgy kebab. Are there any parts of London that remind you of home? Yinjie Sun: It has to be Chinatown. Sandra: Canary Wharf. In Singapore, we're not nostalgic for old things. We like shiny new buildings. Progress! The future! That sort of thing. Jeremy: Many — I grew up in Harrow! So most parts of London remind me of home. For me, home is London. In what ways are China and Singapore better than London? Sandra: Singaporean street food is second to none, and a source of national pride. You can get fantastic food on the cheap, and well into the wee hours, too — not just a dodgy kebab. And as many people will tell you, Singapore is known for having really efficient public services. Yinjie Sun: Students in China pay more respect to the elderly and to their teachers and I think this is important — we should be grateful for what they have taught us, what they have shared with us and the sacrifices they've made for us. Where in London do you hear the most Chinese being spoken? Jeremy: In Chinatown, and when my aunties come round for dinner! Yinjie Sun: There's a large community of Chinese people in London but I hear the most Chinese in Chinese restaurants and supermarkets as well as during my classes. Sandra: I know it's often said that Barnet has the largest Chinese population of any London borough, but I'm sure that's changed over the years with more Chinese people arriving here. I'm sure we're actually spread all over London. It's also worth remembering that there are many different dialects (many of them not mutually intelligible) spoken amongst Chinese people, depending on where they've come from. I think Cantonese is probably the most common dialect spoken amongst naturalised Chinese people here, rather than Mandarin. So "ni hao" may not always be your best choice of greeting! It's interesting to see more people celebrating Chinese New Year and other Chinese related festivals... you can see more promotion in Harrods and Selfridges. How do you feel when you encounter Chinese people in London? Yinjie Sun: When Chinese students attend my classes, I feel touched that I inspire people from my home country to connect with our traditional art forms, not just foreigners. Jeremy: I always want to show them the best parts of London, not just Chinatown. Much like any big city, it's the small, homely places and restaurants that I want to show people. What's the best Chinese show in town? Yinjie Sun: It's interesting to see more people celebrating Chinese New Year and other Chinese festivals in the UK. You see more promotion in Harrods and Selfridges that includes Chinese elements, and there's even an entire show for Chinese New Year. Some people might argue about Chinese culture being commercialised and commodified but I don't see why shopping centres shouldn't also be places to promote Chinese culture and art — great shows deserve to be widely seen. Sandra: If you can still catch it, head to the cinemas to watch Ip Man 3, the latest kung fu blockbuster from Hong Kong. Mike Tyson (if you can believe that) plays the baddie. I enjoyed it much more than Star Wars! Ip Man 1 and 2 are also on Netflix. Where do you go to eat to be reminded of home? Yinjie Sun: Chinese restaurants are everywhere but I still prefer Chinatown. It is not only the food but seeing Chinese people around, plus eating with other people who are actually from China reminds me of home a lot. Sandra: Silk Road in Camberwell. It doesn't exactly remind me of home because it serves Xinjiang food from the north of China. But if you like spicy, aromatic food that gives you a kick up the backside, this is the real deal. Where should a non-Chinese person in London go to learn about Chinese culture/speaking Chinese? Sandra: I wouldn't recommend going to anything overly organised. But I know there are lots of meet-up groups for people who want to learn conversational Mandarin or Cantonese. They're organised by native speakers who want to practice their English too. Sounds like a fun way to learn. 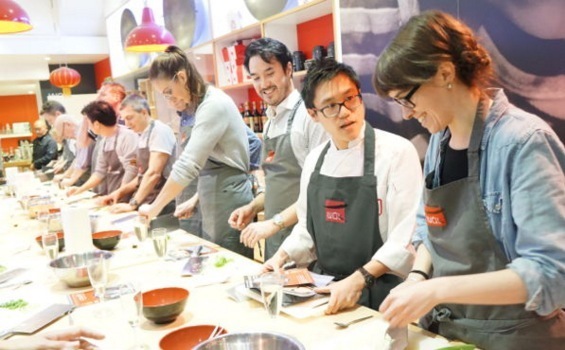 Jeremy: Ming Ai London Institute has plenty of courses to do with China and language learning, and we also run our professional cookery courses through their venue in Wood Green. If you like spicy, aromatic food that gives you a kick up the backside, Silk Road in Camberwell is the real deal. 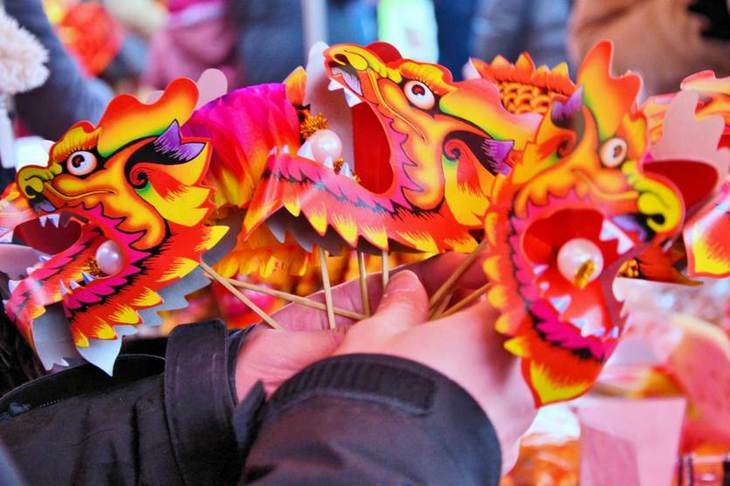 What's the best annual Chinese event in London? Yinjie Sun: Chinese New Year obviously means a lot to Chinese people, and the most memorable celebration I've been to is the one at Trafalgar Square. It's packed with tourists, locals, Chinese people, there's lots of performances and traditional dance — it has to be the best. Sandra: Businesses in Chinatown also put on dragon or lion dance performances to usher in the new year. It's loud, boisterous and worth a look, but can get pretty crowded. But throughout the year there are tonnes of arts, film and food festivals that are all about celebrating Chinese culture in London. Asia House is a good place to start. Jeremy: There's also an annual award ceremony for the best Chinese restaurant in the UK run in London called Legacy of Taste, which I am on the judging panel for. Although it's invitation-only, the public can vote for their favourite restaurants, so it's a great resource for finding good places to eat Chinese food.